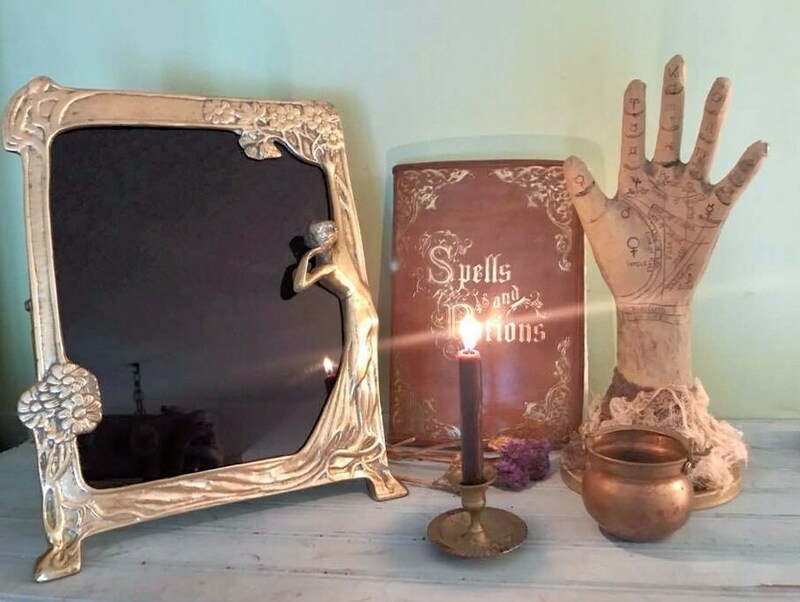 This is a beautiful scrying mirror that I have crafted from a Victorian Art Nouveau large brass mirror. 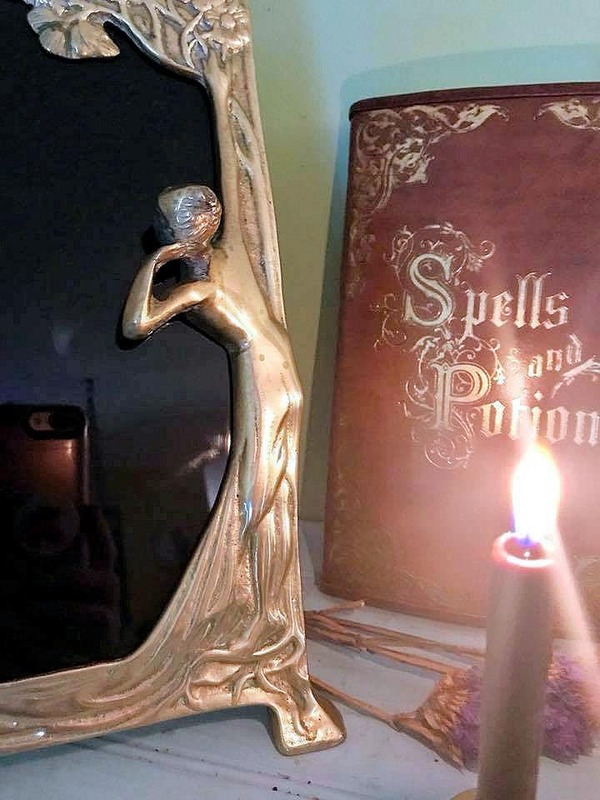 The brass has a small bit of patina, but overall is in great condition for its age. 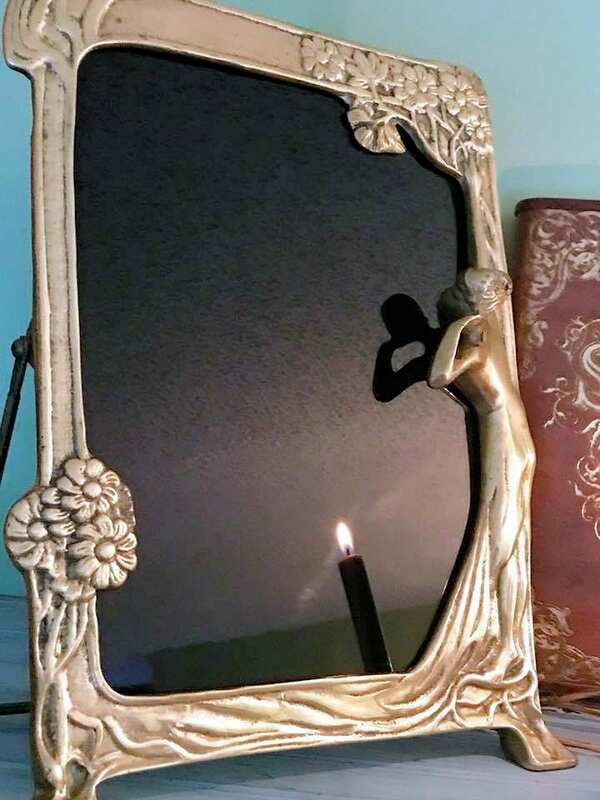 It features a young girl looking around a tree into the blackness of the mirror, standing on the roots of the tree. The other side has a few flowers and design. 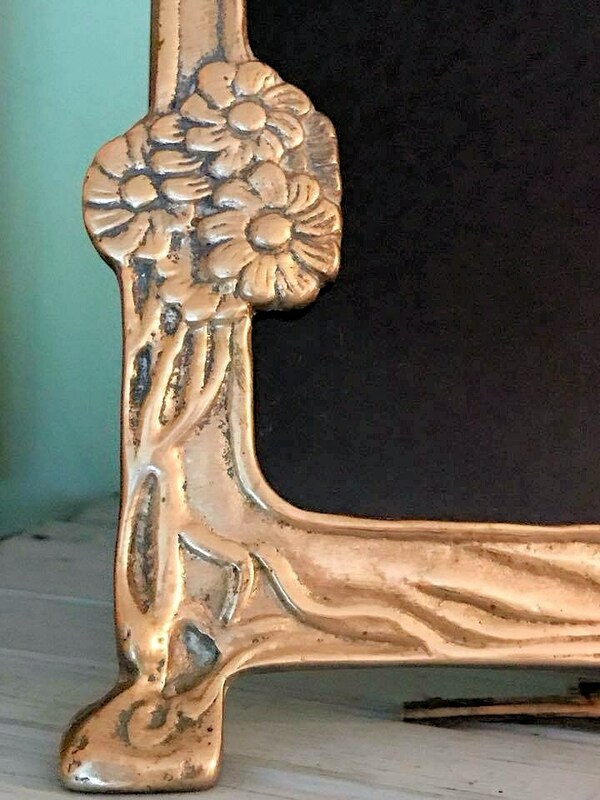 It has the original brass bar easel for easy standing. 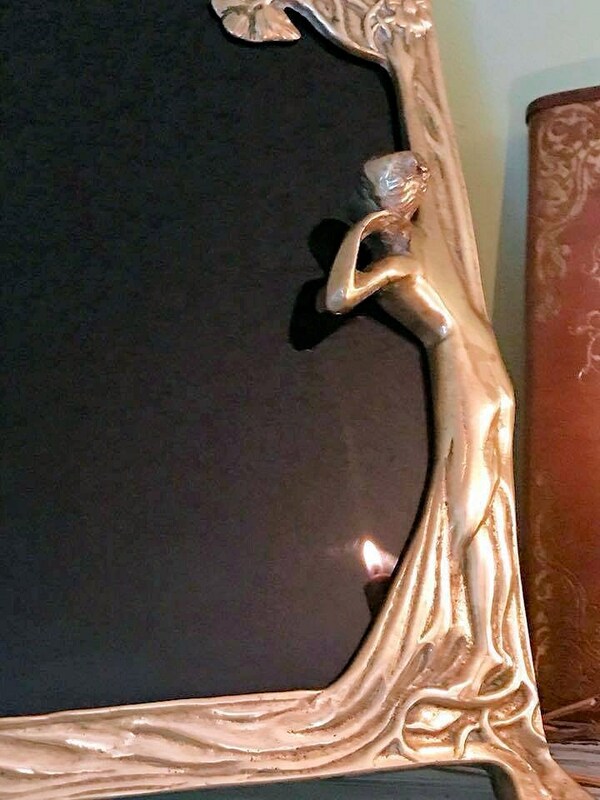 The full frame measures 12 inches tall by 9 inches wide. The scrying area measures 9 inches tall by 7 inches wide.